On one page of Dark Souls official website, Dark Souls III is listed for release on March 24, 2016 at least in Japan for PS4 and Xbox One, with the PC version announced at a later date. 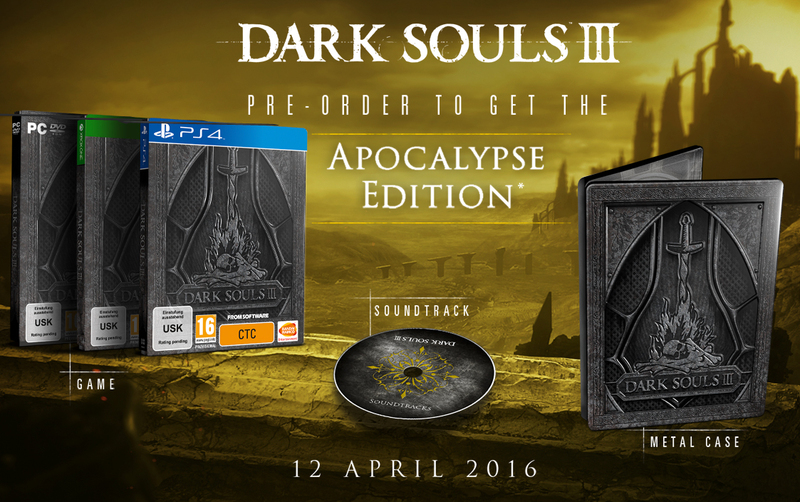 There will be also a special edition containing a map and a CD with the soundtrack. So for those who feared a simplification of the gameplay of the new Dark Souls will have nothing to fear; however IMHO Bloodborne has the merit of having approached a lot of new players to the genre and it deserves a little more recognition by its creator perhaps with a nice new DLC of which is still unknown release date (UPDATE announced Bloodborne DLC), but I think that will come out obviously before Dark Souls 3 . DARK SOULS III will be available for PlayStation®4, Xbox One and PC on April, 2016. Yesterday on gamespot.com published an interesting interview with Miyazaki who is the current president of From Software and the creative mind of the various souls like games. Miyazaki says he’s ready to close the book on Dark Souls . In an industry where it’s commonplace to stretch the popularity of franchises across annual iterations, that may be hard to believe, but he thinks it’s critical to the future of his studio, From Software. So probably the next Dark Souls 3 will be the last of this magnificent series. I honestly not yet tired of these games in the last 6 months I have been playing for more than half the time to bloodborne and dark souls 2, but it is equally understandable and right to try new ideas, anyway I trust again in the future in some new chapter of bloodborne. So fans of dark souls do not miss the next spring. Is stat resetting available? : It is possible by meeting certain condition. But it is impossible to change your character customization. So be careful. Is it possible to warp between bonfires? : Once you visited, yes. How about Co-op with friends? : Use same password matching system like bloodborne. Co-op time? : It's limitless. Play as much as possible until you kill the boss or get killed. Slots of weapons? : 3 slots on each hands. Is magic limited by numbers? : It's a system uses FP gauge. Is it possible to invade soloing host? : I cannot talk about it. After months of dying stay in Drangleic and Yharnam, I can not wait to walk even for this gloomy Lothric. 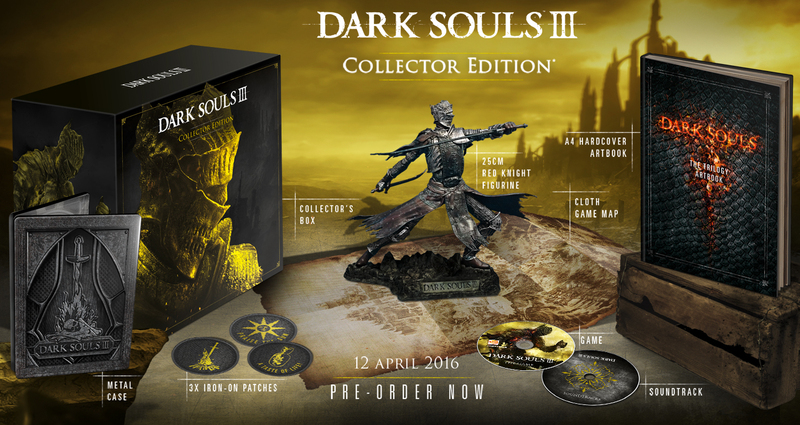 ...and if I had pre-ordered too early my special edition of Dark Souls 3 and I get this version what should I do ? ? Rent a Delorean and go back to 1985 ?